MediMiss Ayurveda Ayurveda Academy control stress Cure Stress Herbal Cure Herbal Remedies prevent stress Remedies Stress where does stress come from Your Health and Stress, What Is the Relation? The hustle and bustle of daily life can really create a lot of stress and put a person into a tailspin. Although we are all in charge of our own happiness sometimes it can be difficult to defuse all of the negative information coming from all different directions. You hear constantly, "you just have to have a positive attitude." This is something you know is true, but the question is how do we accomplish that? Feeling positive in a negative world is like a person with a drinking problem hanging in a bar expecting not to be tempted to drink. When Negative is all around only the strong seem to be able to persist in being positive. Being positive is something that needs to be practiced. The more you think positively the more your "positivity muscles" will grow and it gets easier to be positive. Stress can make us negative about relationships, life, work and even things that we love doing. Stress takes Joy away. I don't know about you but I really like Joy, I would rather have joy than Stress. Many people will ask if the glass is half empty or half full; that is not the question that they should be asking. The question is how heavy is the glass of water? Lets compare that glass of water to stress (the one who steals joy). Fill a glass of water and carry it around. It's relatively light and easy to manage without spills. If you carry that same glass of water around for a few hours it starts to feel heavier, you have to pay closer attention not to spill the water out. By the end of the day, your arm and hand will be totally taxed and stressed out; it will be extremely difficult to keep from spilling. That is what stress is like; it builds and builds until you are exhausted. Do you hold your stress like that glass of water? The same glass of water if being held gets more stressful without changing weight or shape and the same is true for stress. The longer you hold stress the worse it gets even if you don't add to it. The old way of thinking was that disease was something that was genealogical and that we were destined to get what was passed to us from our family. The modern way of thinking goes back to ancient fundamentals putting us back in control of our own health. If we can control our stress, we can prevent disease. 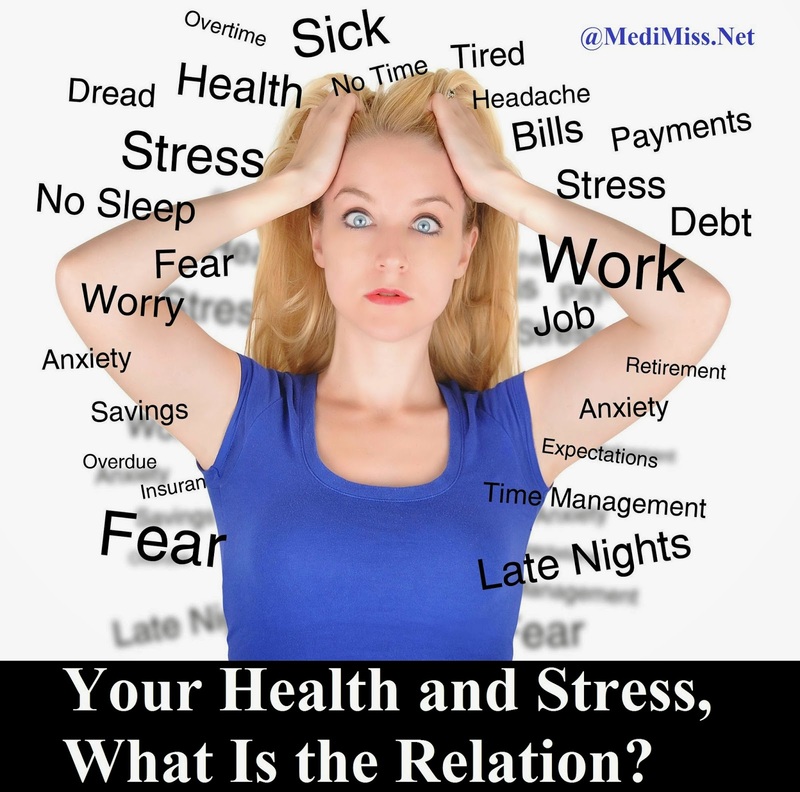 Modern medicine believes that stress is responsible for 75% of all disease. This shift in thought about disease is closer aligned to what Ayurveda believes; that all disease manifests from stress of one form or another. Some of the stress we create and cause, some of the stress is beyond our control. 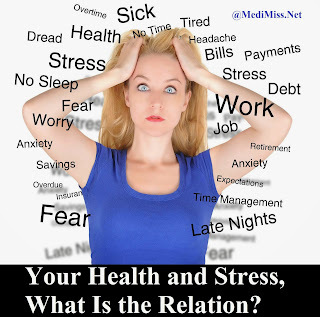 We can only do our best to prevent stress and reduce the effects that it has on our health. To handle various stressors in our lives, we begin with cleansing and strengthening our system so the effects of stress can be minimized. We can only bring in the positive when we consciously accept and remove the negative. Looking at the list above of the things that cause stress within our bodies it becomes apparent that there are some things we can improve. Thoughts and memories are totally within our control if we can learn how to divert negative thought and memories into something that is positive. Often times we just need to look at the other side and make an attempt to be Positive. As I mentioned above you have to practice positivity. Wrong food combinations, unhealthy food and lack of food are items that can affect many aspects of life. All of us know what is healthy and what is not and that pile of french fries is not in the healthy column. The flip side is wrong food combinations that many people are not aware of, you may need to investigate what is right for you. For many people they fail to feed their bodies and this is just as harmful. Excessive exertion and lack of sleep seems to be the norm. Too much physical exertion and then not getting enough sleep leads to many health issues. Everyone has different requirements, when you listen to your body it will send you clues. Pollution is something that we have to do our best with because there is no way to avoid a certain amount of pollution. Cleansing can help your body rid itself of toxins that affect your health. Individual stressors need to be identified only then can they be rectified. Ayurveda will help you to identify your stressors, help you to understand wrong food combinations, and help you learn techniques to minimize stress. Ayurveda; its simple, its effective, and it makes sense.